I ask printers for some odd things, but probably the oddest was asking Leach for a ‘puddle of pee’. 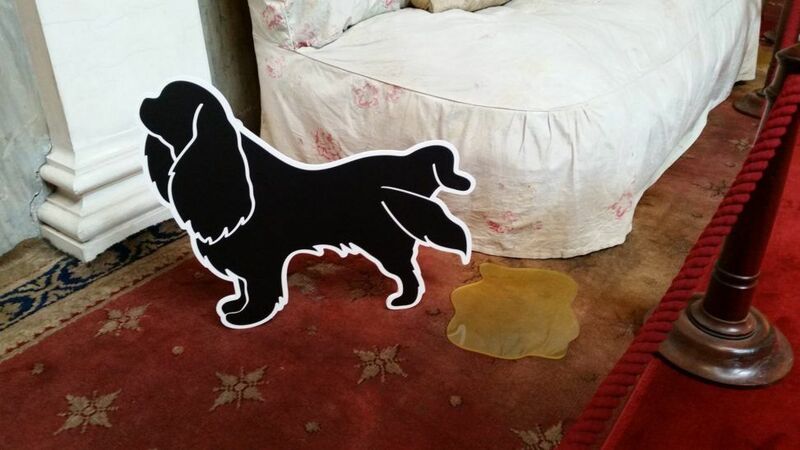 Brodsworth Hall are undergoing conservation work at the moment, and to interpret the carpet damage caused by the owner’s Cavalier King Charles Spaniels, we decided to put in a dog cocking its leg and a puddle of acrylic ‘pee’ on the carpet. It makes visitors giggle, and says more than a panel could!